Released Ryo Currency ''Lorentz Transform'' v0.4.0.1 Release. View Ryo v0.4.0.1 release on GitHub. 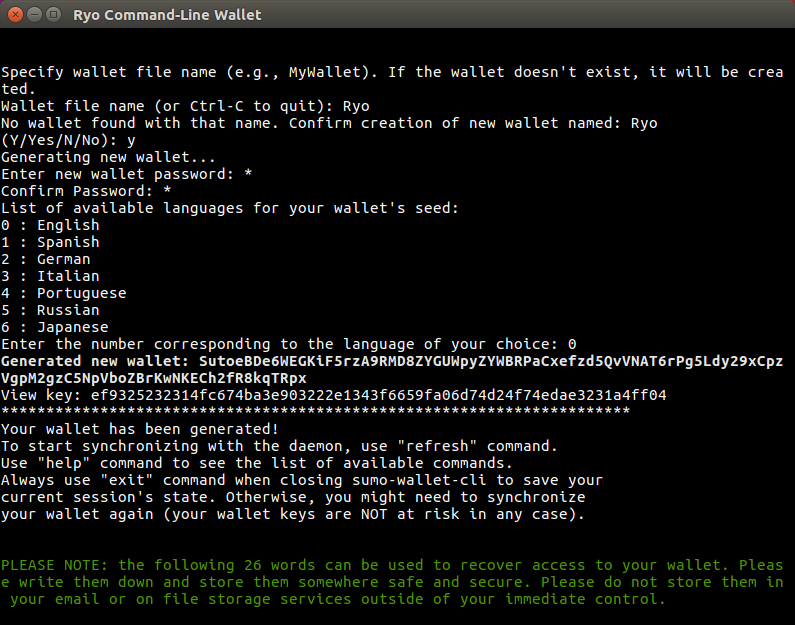 Released Ryo Wallet Atom View Ryo Wallet Atom 1.2.0 update on GitHub. Ryo was conceived with the highest levels of privacy in mind. From day one, Ring Confidential Transactions (RingCT) with minimum ringsize of 25 were implemented to conceal every transaction. Ryo Blockchain analysis is impractical. Have piece of mind knowing that what you choose to do with your money is your business, not anyone else's. As privacy is the core foundation of Ryo, sending and receiving addresses are encrypted and transaction amounts are obfuscated by default. Disposable ghost addresses conceal your real Ryo address from senders, allowing for truly anonymous and untraceable transactions. Our uniform payment ID system, makes transactions that use payment ID-s untraceable and hides the very fact that you use ID-s.
Ryo adds privacy to the core of Satoshi's vision of a decentralized, trustless cryptocurrency. Many other cryptocurrencies fell prey to centralization caused by ASICS/FPGA/BOTNETS. Ryo will - as it has in the past - not allow this type of centralization to occur on its network through continued development of Ryo and its Cryptonight-GPU algorithm. Ryo is truly fungible because of its built-in privacy features. Just like cash, nobody knows who had possesion of any particluar coin before them. Even better than cash, nobody knows the identity of who they're sending their coins to. It is extremely unlikely that Ryo will ever be blacklisted by any third party due to any association in prior transactions. Ryo allows you to use a new ghost address for every transaction you receive. Never receive coins with the same address twice, even further reducing the astronomically tiny chance of you and your transactions to be traced. The Ryo Wallet Atom is an user friendly, easy to learn wallet that lets you store, send and receive Ryo. Our GUI wallet is one of the most easy-to-use and intuitive wallets around. Meet Atom, the new Electron based Ryo Wallet. Being the foundation for further development, this wallet brings several improvements over previous GUI wallet. For power users, download the command line wallet and daemon. Available on many platforms you'll have complete control over your Ryo. Ryo, as a fork from Monero which itself was initially based on the CryptoNote protocol, inherits all whitepapers and academic studies from CryptoNote and Monero Research Lab. Additionally, Ryo has pioneered technologies such as Cryptonight-Heavy POW / Cryptonight-GPU POW and Uniform Payment ID. Some of them are already used by numerous other Monero forks. Hardfork release to implement new difficulty adjustment algorithm to deal with flash-hashrate surges. Sumokoin GUI wallet released which will end up being forked by many other cryptonote-based coins. Subaddresses support to improve coin privacy, also known as "Ghost" addresses. This is a roadmap suggested by our developers but can be changed to reflect new project targets and the developer's vision. Implementation timelines are not fixed and subjected to actual development resources. Credit is due to the Monero Project. Without it Ryo would not be possible. Monero is a great project, but the Ryo Team believes we can create a more secure cryptocurrency by enabling higher ringsize from the start, implementing new private transaction system that retrofits to support old payment ID system. Credit is also due to Nicolas van Saberhagen and the CryptoNote team for their original work on the cryptonote whitepaper, as well as the Bytecoin project for creating the first CryptoNote-based coin. Ryo is primarily a technology focused project, thus we do not spend large amounts of funds for marketing purposes. The founders believe that users looking for a higher level of privacy will seek out and find us. We encourage the community to speak about Ryo in their community. Hardfork release to implement new ASIC resistant Proof of Work algorithm. Lite GUI wallet released allowing remote nodes for users who do not want to download the full blockchain. Sumokoin hardforked to ASIC friendly POW and Ryo continued on with the original chain. Our first full release, including features such as multisig, wallet RPC auth, fluffy blocks, bulletproofs (not enabled yet), much shorter 'kurz' addresses for people who don't need a viewkey, and short 14-word seed secured by a proper crc-12 checksum. Rebranded GUI wallet with new features such as dark theme and responsive windows. Introducing dev fund, and various bug fixes. Our new paper wallet generator with full support of short seeds and kurz addresses. Initial release of architected from scratch, developed with a modern Electron codebase feature rich wallet. Ryo Payments WooCommerce Gateway is released, as well as Ryo Official Store. Ryo Currency 0.4.0.0 - Lorentz Transform. This update brings 5 major updates in the source code, 2 of them are first among any Cryptonote coins. Cryptonight-GPU - FPGA/BOTNET/ASIC-resistant POW based on floating point math. Designed by Ryo developers. 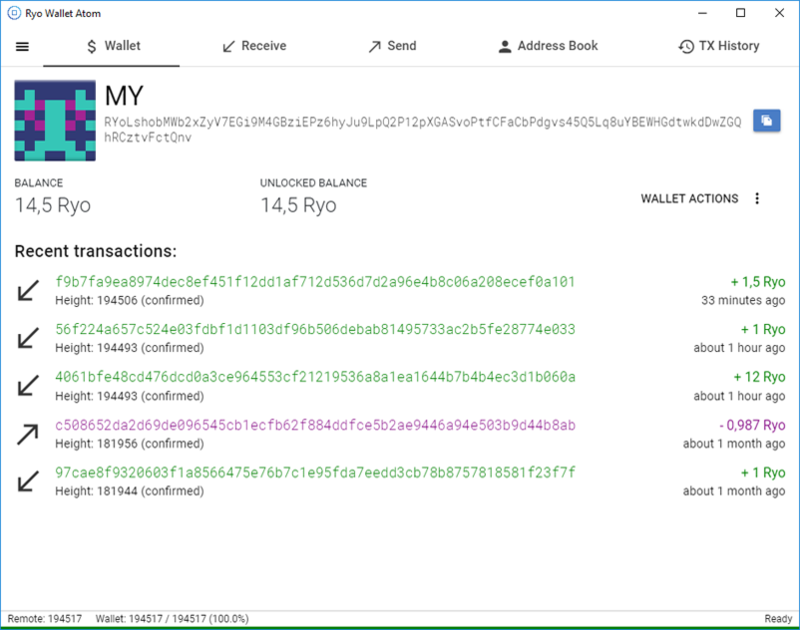 Ryo Wallet - Quasar brings the user friendly interface of our desktop GUI wallet (Atom) to the web. This section is deliberately small - anybody can promise the moon and the stars. We - deliver. First increase of default ring size 13 -> 25 was introduced in 0.4.0.0 update. Faster processing + Bulletproofs + more anonymous rings, to enable truly anonymous ring signatures. Eliminating major bottleneck and a good target for performance optimisation of wallet and blockchain sync times. Cryptonote blockchain compression, down into below 1 GB sizes for Monero, 100MB for Ryo. Combination of faster processing and compressed blockchain extracts and a specialised server. 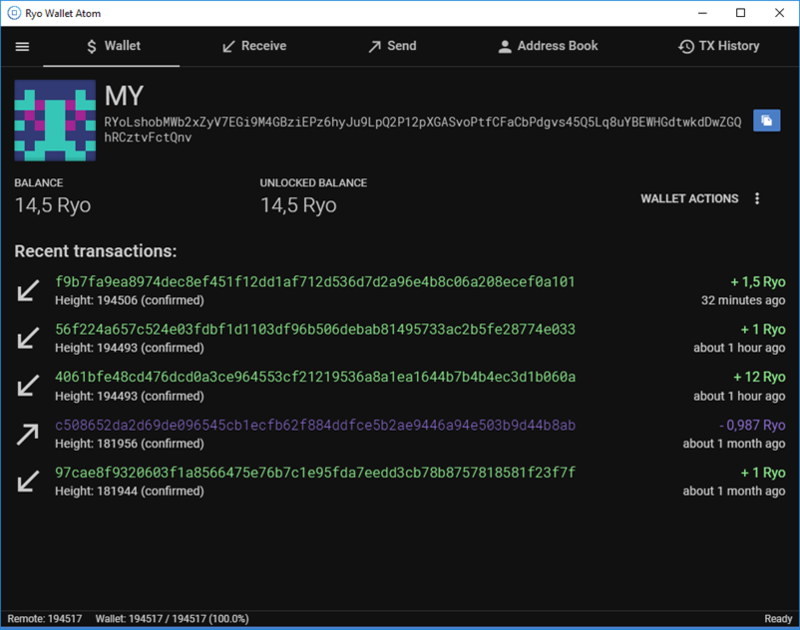 Continuous development of Ryo Wallet Atom. 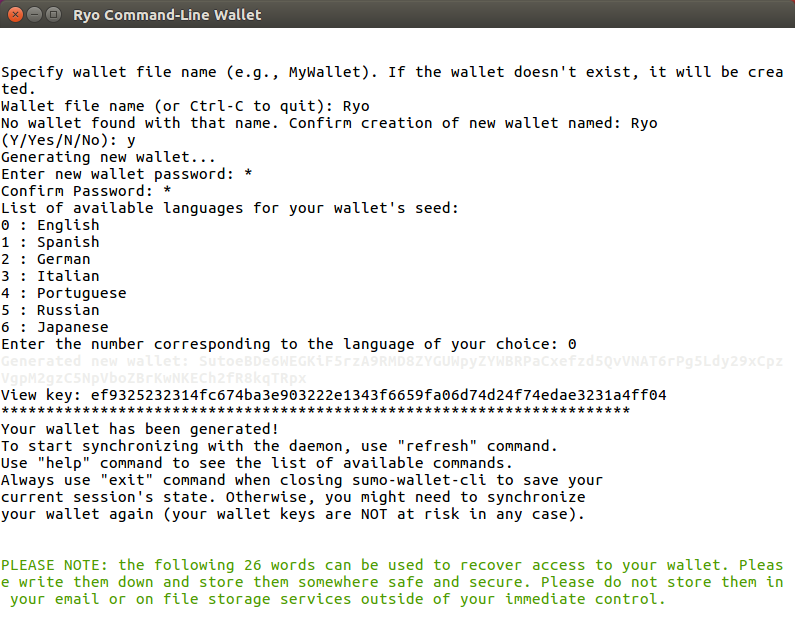 Ryo Wallet Quasar - Secure web-based wallet. Porting Ryo-Wallet on mobile platforms. Development and establishing partnership with various payment processors and services. Development and upgrade of various tools and components for developers. GUI interface for one of the most popular miner software.